Sepsis is a burn injury complication which is often fatal. 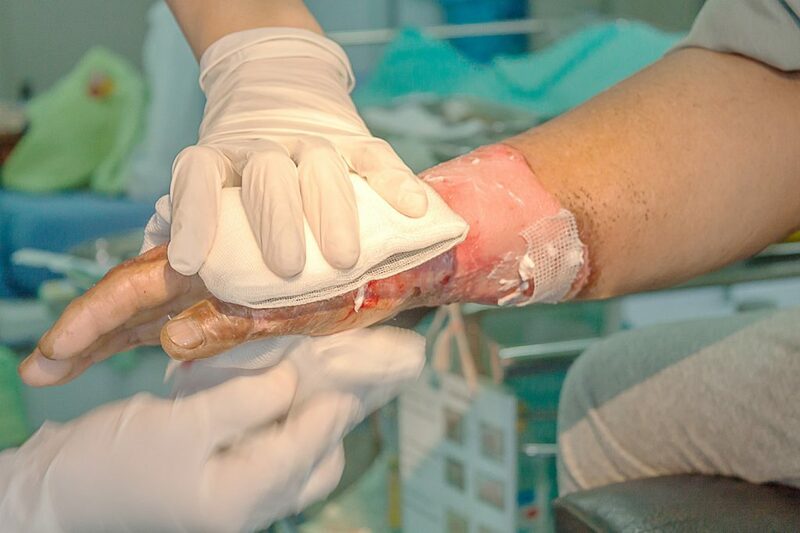 It is a complication of infection, and it is responsible or more than half of all burn injury deaths. The risk of sepsis increases with the severity of burns, but according to the Sepsis Alliance, it can occur as a result of “any burn that causes a break in the skin.” Infections of burn wounds or those related to burn treatment, such as catheter-associated infections, can all lead to sepsis and septic shock. Early detection is the key to sepsis survival. Sepsis is often wrongly referred to as “blood poisoning”. It is triggered by infection, but sepsis is not infection itself. Sepsis is the body’s immune system gone haywire. It happens when your immune system goes into overdrive and starts attacking your body instead of the infection. Sepsis can cause tissue damage, multiple organ failure and death. Septic shock is sepsis at its most severe. It caused an extreme drop in blood pressure and can quickly move to organ failure and death. Early detection and treatment of sepsis is the best hope for avoiding septic shock. If you have survived sepsis or lost a loved one to sepsis following burn injury, you may be able to recover compensation for your injuries. Please do not wait until it’s too late to take legal action. Contact an experienced burn injury attorney today and schedule your free consultation.